Is there a better alternative to Proxie? 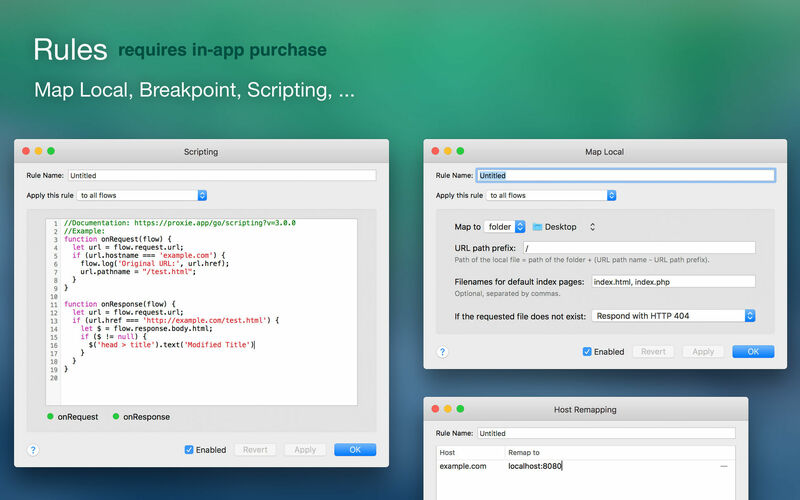 Is Proxie really the best app in HTML category? Will Proxie work good on macOS 10.13.4? 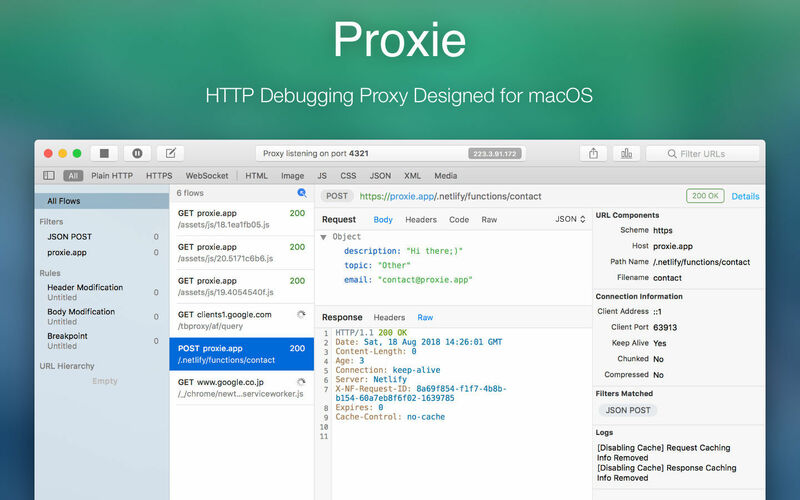 Proxie is a HTTP debugging proxy for OS X. It puts a proxy between HTTP clients and the Internet. After a proper configuration of proxy settings, all HTTP traffic will go through Proxie and be available for inspection. 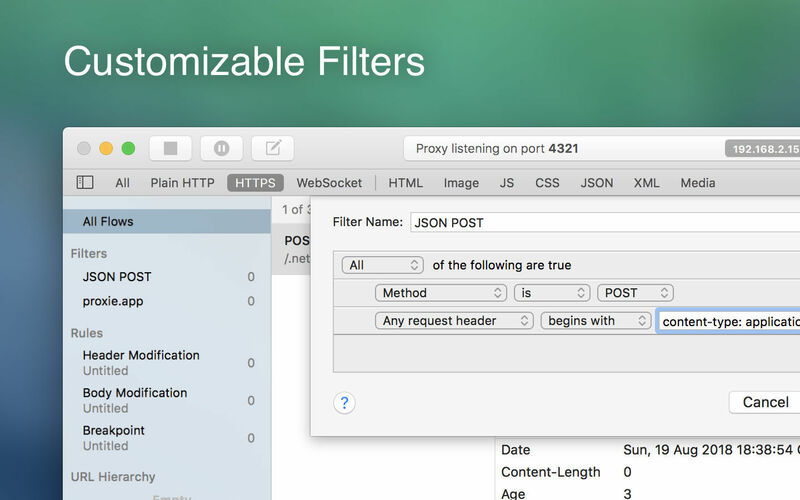 Any Platform - Proxie records all HTTP traffic from any Mac, Windows, Linux, or mobile device. Body Viewers - Proxie chooses the proper viewers to make it intuitive to inspect body data. 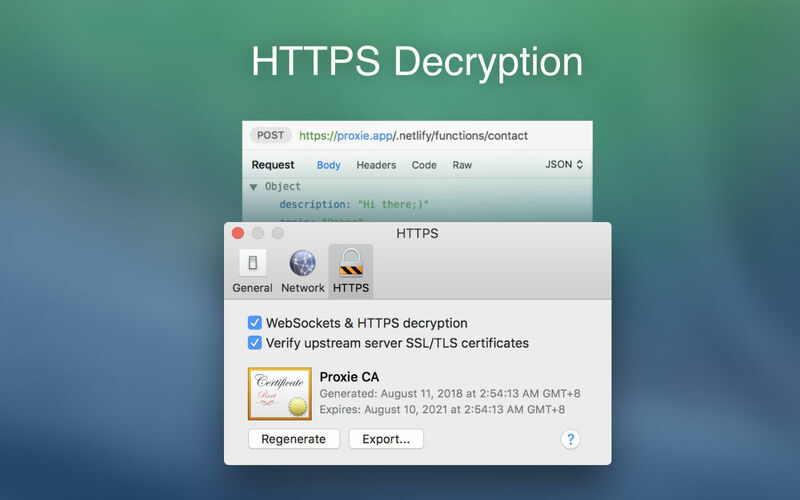 HTTPS Support - Proxie uses man-in-the-middle interception to reveal HTTPS traffic. Proxie needs a review. Be the first to review this app and get the discussion started! Proxie needs a rating. Be the first to rate this app and get the discussion started! WebSocket Support - Proxie understands websocket traffic and renders it like a chat interface.